Icelandic composer and producer Jóhann Jóhannsson has died aged 48, Getintothis’ Peter Guy reflects on his beautiful music and towering film scores. Stillness and calm. Those are the feelings I associate with Jóhann Jóhannsson‘s transcendental music. Like slipping into a warm lagoon and allowing the water to envelop your naked body and the steam to soothe your mind. Upon hearing Virðulegu Forsetar for the first time, I immediately fell in love with the Icelandic musician’s grasp of sensual yet arresting sounds. He managed to evoke something blissful through minimalism yet never strayed into background noise – you felt alert and awake but serene and completely at ease. This was magical music to massage the mind. Released in 2004 via Touch Music, Virðulegu Forsetar was Jóhannsson‘s second solo album and the first I’d hear. 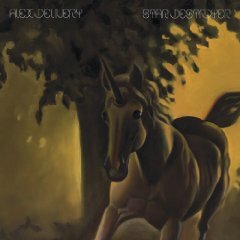 And like much of his work the album centred around orchestral instrumental ambience. In this case the slow repetitious build of brass and subtle electronics. What’s so clever about the hour-long piece, divided into four 14 minute chunks, is that little seemingly happens; the music washes, unfolds gently and continually. However, such is the gradual sweeping swells of sound you find yourself entirely lost in the mix – and the result is utterly breathtaking. When performed live in Hallgrimskirkja, a large church in Reykjavik, the building was filled with helium balloons which slowly fell, scattering to the ground amid the listeners – it was such an evocative marriage of live performance and music it was voted the most memorable musical event of 2003 in Iceland’s leading newspaper. Virðulegu Forsetar led me to Jóhannsson‘s debut Englabörn, a more varied work which loosely focuses on the dynamic between love and hate. Dancing, quivering violins contrast against nuanced piano motifs and buzzing electronics adding a sense of disquiet and drama. For many it remains his finest work. Recorded in Prague, IBM 1401, A User’s Manual, was Jóhannsson‘s fourth studio album, and first for 4AD Records. Taking its name from the world’s first ‘mass-produced digital business computer’, the record is a masterpiece in soaring melancholy interspersed with voices reciting instruction manuals. Sound dull? Far from it. Juxtaposing titles including Part 1 / IBM 1401 Processing Unit and Part 4 / IBM 729 II Magnetic Tape Unit the music is anything but mechanical, instead its borne of sparkling beauty with rich hammond organ, magnificent strings and Erna Ómarsdóttir‘s haunting vocal cries. Once again, Jóhannsson proves a master in creating profoundly powerful and expansive music with seemingly effortless minimalism. He would go on to record four more studio albums, most notably, Fordlandia, again released via 4AD in 2008; a conceptual piece on the failed Henry Ford utopia created in the Amazon jungle. On this album Jóhannsson broke through to a wider audience as he experimented with more ‘rock’ moments including guitar flourishes and wide-screen instrumental melodies. Take the quite astonishing opening 14 minute title track for starters – a gurgling mix of electronic bubbling, grandiose strings and a shimmering guitar riff which pierces through the tranquility. If there’s one ‘pop’ record in his cannon, then perhaps Fordlandia is it. Again, it’s seriously worthwhile investigating. Such is his expansive sound, it was of little surprise that Jóhannsson would move into soundtrack work – and it was here that his music would reach a wider audience. His breakthrough arrived with the soundtrack to The Theory of Everything with the composer winning a Golden Globe for his score to the 2014 Stephen Hawking biopic starring Eddie Redmayne. Better still was his malevolent brooding work for Denis Villeneuve’s 2015’s Sicario – with the percussive drone of The Beast stopping viewer’s hearts as Emily Blunt and co. approach the Mexican border in one edge-of-the-seat suspenseful scene. Of his score, Jóhannsson said: “I wanted to create music that had an underlying tension and a sense of coming from below the earth, like a throbbing pulse that resonates from underground or the pounding heartbeat of a wild beast that is charging at you.” He’s not wrong. The anxiety stays with you – long after those final credits. It was, in many respects, the reason why it was my film of the year. Johannsson was subsequently nominated for an Oscar and Bafta for Sicario and collaborated again with the director on 2016’s sci-fi film Arrival with many suggesting the music was the film’s finest feature. Johannsson would go on to complete more soundtrack work for Darren Aronofsky‘s Mother! and (though unused) Blade Runner 2049 with his last studio album Orphée released in 2016. A composer of immense skill and a producer with a remarkable ear which is he used to create profoundly beautiful and powerful music. 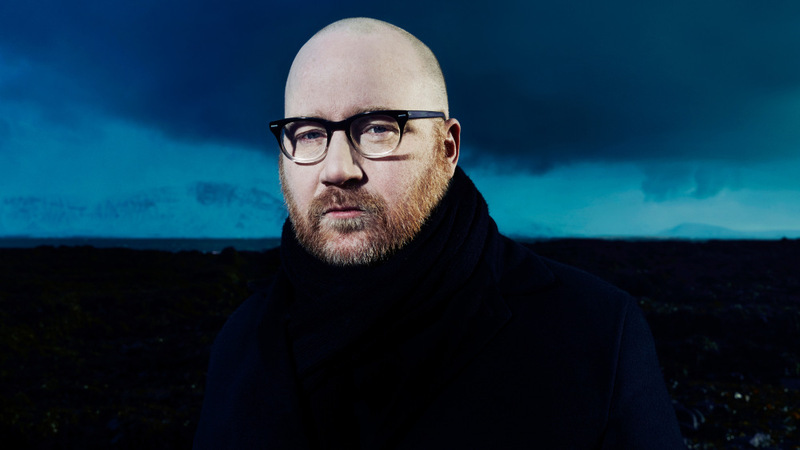 Jóhann Jóhannsson is a hugely devastating loss.